1993. Not exactly a memorable season for the Blue. 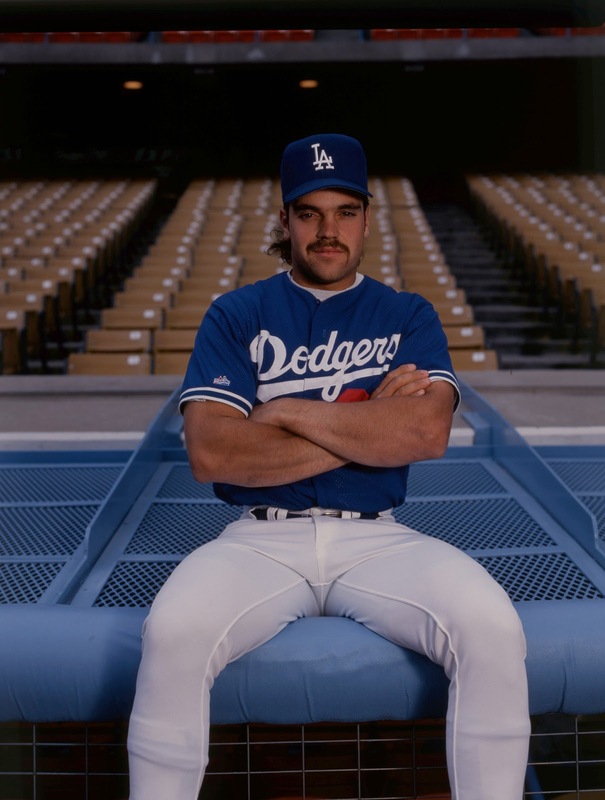 The 1993 Dodgers would finish at .500 , 81-81, an 18 game improvement from 1992’s 63-99 showing, their worst in L.A. franchise history and the first ( and LAST ) time the Dodgers would finish in last place since 1905. The 1993 season would mark Barry Bond’s first season with the hated ones after 7 seasons in Pittsburgh, with his final moment in a Bucs uniform coming in Game 7 of the 1992 NLCS as he was unable to throw out the speedster Sid Bream . As the Braves would continue their yearly post-season run that would last until 2005 ( In the process dulling their fan base ) , the Pirates would go into a 20 year tailspin . 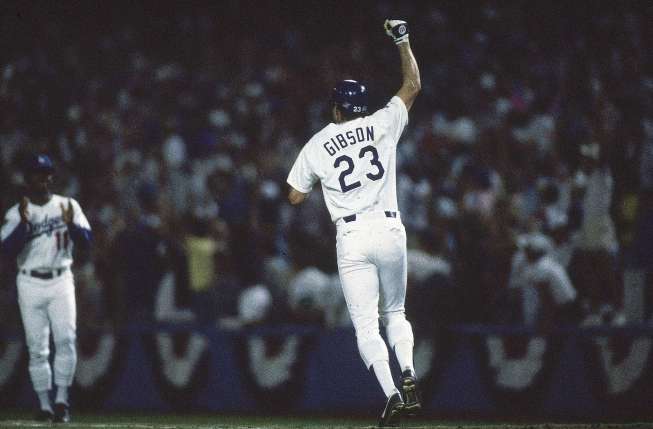 In the meantime, the 1993 season would be the last season for baseball’s 2 division format. That meant that even if you we’re baseball’s 2nd best team, if you we’re 2nd best in your division as well, that meant no October baseball. Imagine a team winning 103 games and missing out on post-season play ? Under today’s 2 team wild card format, that would be all but impossible today. However, in 1993, one team that would win 103 games was on the outside looking in. Yup, it was the San Francisco Giants. Heading into the seasons final four games at Dodger Stadium, the NL West would come down between the Giants and the Atlanta Braves before divisional re-alignment took place . ( The baseball lords finally got their geography right. When division play started in 1969, the Cubs and Cardinals we’re placed in the NL East, while the Reds and Braves we’re placed in the NL West ) . The Giants, led by first year manager and former Dodger Dusty Baker, started the season hot behind the huge off-season acquisition of Barry Bonds. The Giants had lead the NL West by as many as 9 games ( Sound familiar Dodger fans ? ) as late as July. The Braves, coming off back to back NL pennants, we’re to good to fold and would eventually take over 1st place in the NL West. The Giants would right themselves and after taking the first 3 games of the seasons final four at Chavez Ravine, the Braves and Giants would find themselves tied for the NL West lead heading into their final games of the season. Some have called the 1993 NL West race the The Last Real Race . In the context of today’s wild-card format, a true argument can be made of that. So now, let Drei here take you back to that final game of the 1993 season . October 3, 1993. Earlier in the day, the Braves had defeated the first year expansion Colorado Rockies to ensure they would be playing at least one more game. The Braves win would force the Giants into a win or go home situation, 103 wins and all. Win, and the Braves and Giants play a one-game playoff the next evening at Candlestick Park to determine the NL West winner. Lose, and the Giants, 103 wins and all, like the other 24 teams, start an early winter . A BIG HAPPY 30TH to The Bison !!! Was it 2 months ago that many of you out there had a Love/Hate Relationship with Matt ? Nothing like a great 2nd half run to quiet all doubters huh ? As we head toward the post-season, I’ll say it once more. This is STILL your team Matt !!! Time for The Bison to take charge ! 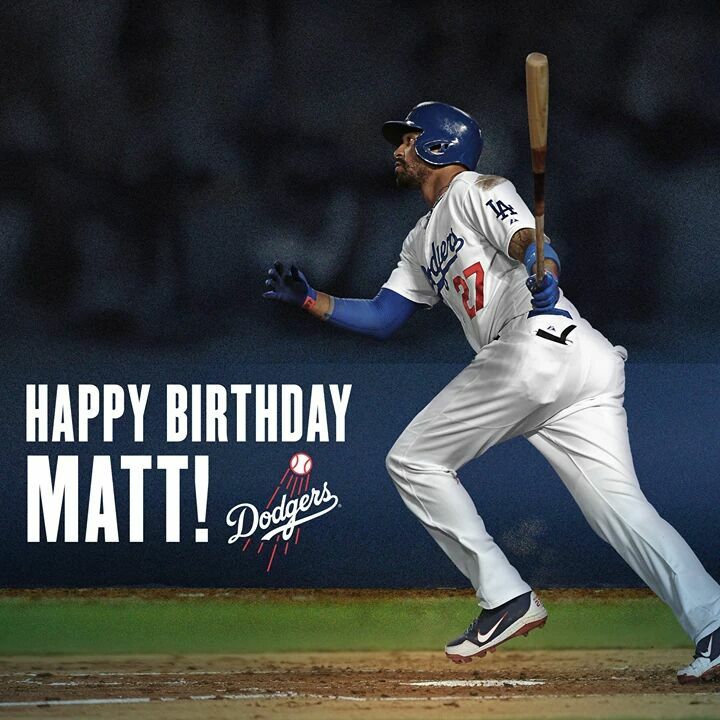 HAPPY 30TH Matt !!! 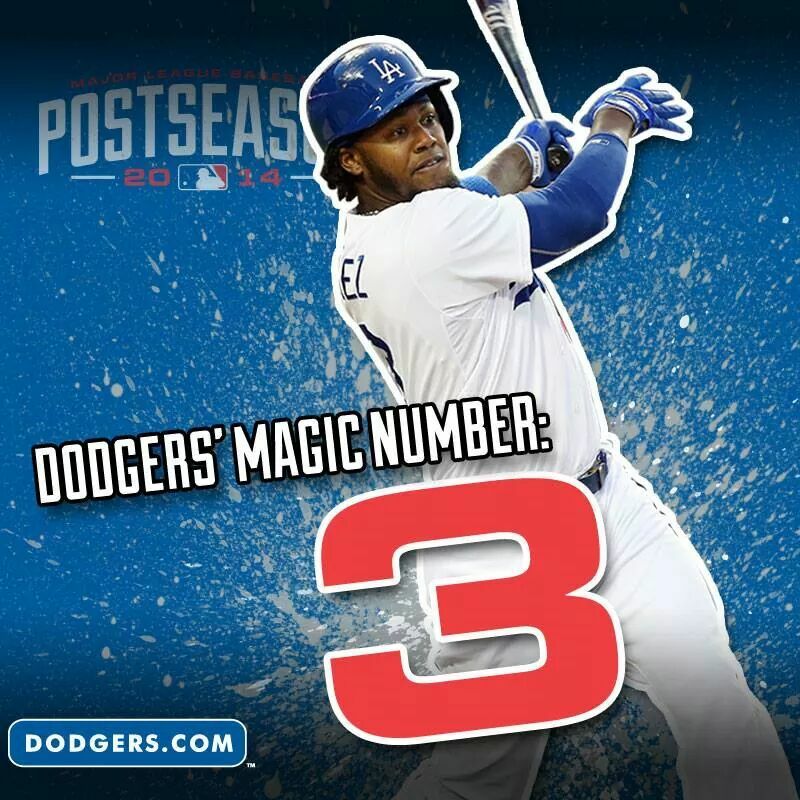 After last night’s gut-wrenching 5-2 loss in 13 to the Giants , the magic number to clinch the NL West remains at 3. Zack Greinke takes his perfect 4-0 record against the Giants to the mound for The Blue as he matches up against Madison Bumgarner in The Blue’s attempt to cut the magic number down to one. 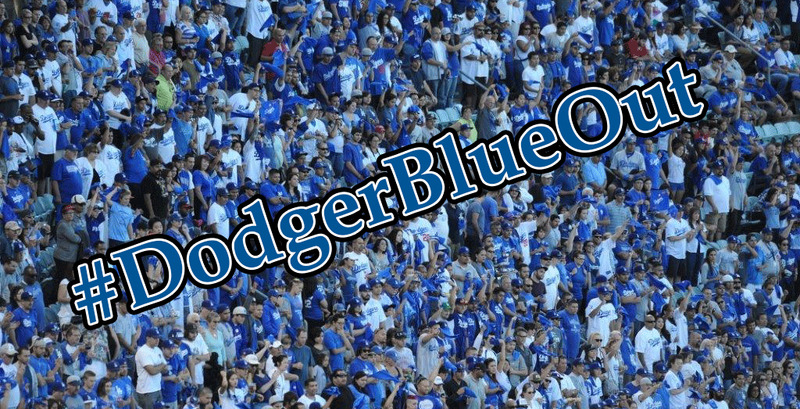 Time to Turn L.A. BLUE !! !